It has been almost 10 years since an explosion onboard the Deepwater Horizon drilling rig rocked the offshore energy industry. In that time, most of the major (and minor) players involved in the disaster have been forced to resort to the courts to resolve disputes with their insurers, and they have made new law along the way. Anadarko is the most recent example. Anadarko’s insurance claim has been working its way through the court system for several years, and on January 25, 2019, the Supreme Court of Texas ruled in favor of Anadarko (and against its London Market insurers) in a dispute over coverage for defense costs arising out of the Deepwater Horizon incident. The Texas Supreme Court’s decision is “win” for both Anadarko and other energy sector policyholders that participate in joint ventures. The broad outlines of the Deepwater Horizon incident are well known. On April 20, 2010, an explosion and fire occurred onboard the Deepwater Horizon drilling rig, which resulted in the deaths of 11 men, the sinking of the rig, and the subsequent release of millions of gallons of crude oil into the Gulf of Mexico. President Obama called it the “worst environmental disaster America has ever faced." Anadarko was a minority partner in the Macondo well where the blowout occurred (BP was the majority partner). As a result of its minority stake in the well, Anadarko was named as a defendant in thousands of claims arising out of the Deepwater Horizon incident. Anadarko eventually agreed to pay BP $4 billion in exchange for, among other things, an agreement to indemnify Anadarko against liabilities arising out of the Deepwater Horizon incident. Anadarko also incurred well over $100 million in defense costs defending itself against claims arising out of the incident. [A]s regards any liability of [Anadarko] which is insured under this Section III and which arises in any manner whatsoever out of the operation or existence of any joint venture . . . in which [Anadarko] has an interest, the liability of Underwriters under this Section III shall be limited to the product of (a) the percentage interest of [Anadarko] in said Joint Venture and (b) the total limit afforded [Anadarko] under this Section III. Based on the product of Anadarko’s percentage interest in the Macondo joint venture (25 percent) and the total coverage limit under Section III ($150 million), the underwriters argued that the endorsement effectively capped their liability at $37.5 million. Anadarko countered that the endorsement only reduced the amount the underwriters were required to pay to cover joint venture liabilities to third parties, and did not apply to defense costs. Anadarko filed a lawsuit against the underwriters seeking payment for $112.5 million in defense costs ($150 million minus the $37.5 million already paid by the underwriters). The trial court ruled in favor of Anadarko. The Texas Court of Appeals, however, reversed and ruled in favor of the underwriters. The Texas Supreme Court sided with Anadarko and held that the joint venture endorsement did not limit the policy’s coverage for defense costs. 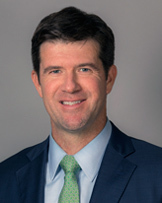 In reaching this decision, the court focused on the first clause of the endorsement (“as regards any liability of [Anadarko] which is insured under this Section III . . .”) and noted that although the policy does not define “liability,” it “consistently distinguishes between Anadarko’s ‘liabilities’ and ‘expenses.’” Based on the policy’s use of the term “liability” and its distinguishing references to “expenses,” the court concluded that “liability” refers to an obligation imposed on Anadarko by law to pay for damages sustained by a third party who submits a written claim, i.e., not defense costs. The Anadarko decision is relevant to other energy sector policyholders for several reasons. First, it is a helpful reminder that insurance policies issued to energy sector policyholders sometimes contain joint venture provisions or endorsements that “scale” or limit the insurer’s exposure to joint venture liabilities by reducing the limits available for those liabilities (often in proportion to the policyholder’s percentage interest in the joint venture). Some policies also contain provisions that limit the “cumulative liability” of the insurer from any one occurrence arising out of the operations of a joint venture involving more than one policyholder to some multiple of the policyholder’s limits. Second, many policies contain joint venture provisions and other policy language similar to the language at issue in Anadarko. The Anadarko court, for example, relied on a very common definition of “Ultimate Net Loss” and other common policy provisions to distinguish between “liabilities” and “expenses.” That distinction and the court’s definition of “liability” (an obligation imposed on the insured by law to pay for damages sustained by a third party who submits a written claim) may even prove helpful outside the joint venture context. Insurance policies issued to energy sector policyholders often contain unique policy provisions that apply only to joint ventures. These provisions may limit or even eliminate coverage for liabilities (and defense expenses) arising out of joint ventures. Policyholders should carefully review these provisions to make sure they have the joint venture coverage they need, particularly if they are required to purchase insurance under the terms of the joint venture agreements in which they participate. Anadarko Petroleum Corp. v. Houston Cas. Co., No. 16-1013, 2019 WL 321921 (Tex. Jan. 25, 2019).